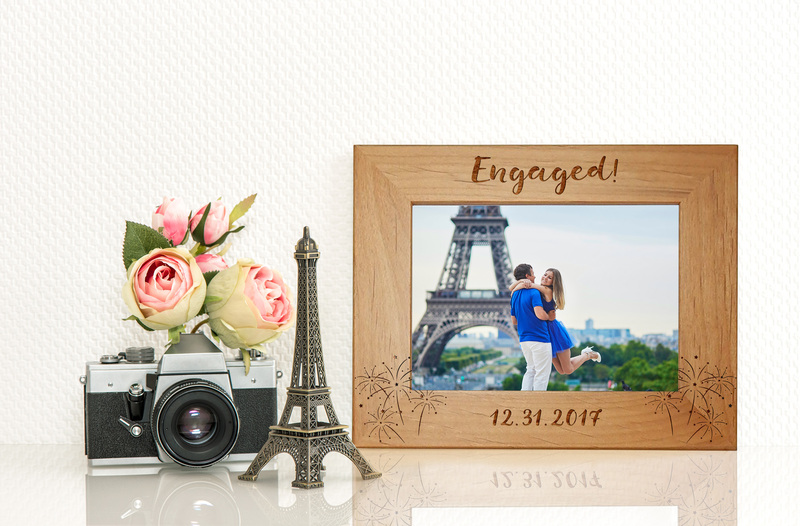 This solid wood frame is designed with fireworks to celebrate the excitement of a proposal. Did you or a friend say Yes on New Years Eve? One line across the top. As pictured is "Engaged!" or provide custom. This item does not have an approval process. Once we get your request, we engrave and ship as quickly as possible. This allows us to provide quality work and craftsmanship to our customers and delivery as soon as possible. If you love our frames and engraving, but would like a different design, please get in contact with us!